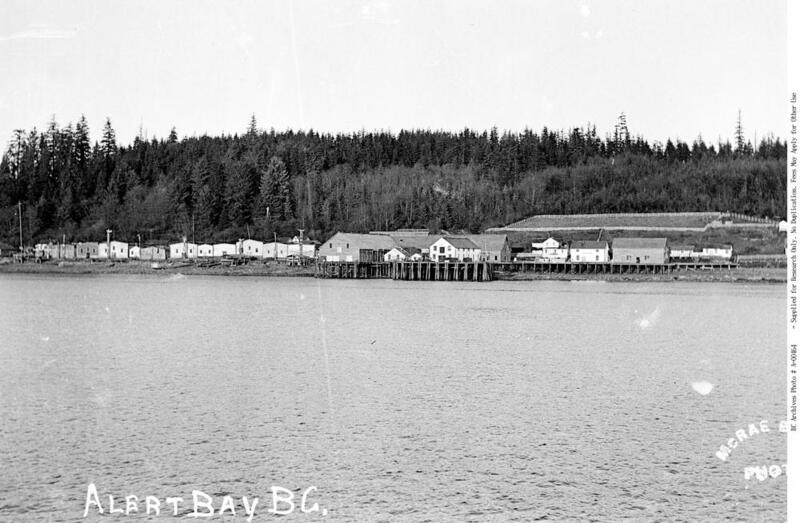 This photo is an early picture of the Alert Bay settlement on Cormorant Island in the 1880s. 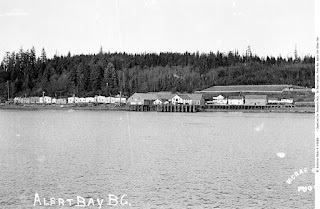 In the mid 1870s a fish saltery was opened on the island and many Indigenous peoples from the surrounding area, specifically those from the 'Namgis Nation, built houses at Alert Bay. At this time the population of the village of Whulk on the banks of the Nimpkish River declined as many residents moved to Alert Bay for more steady year-round employment opportunities.